Liz Phillips, PS 321 Principal, Elizabeth Garraway, Proposed 763 PrincipalThank goodness, we can call it something other than "the mystery school" or "formerly know as"! It seems that it is PS 763 for now. 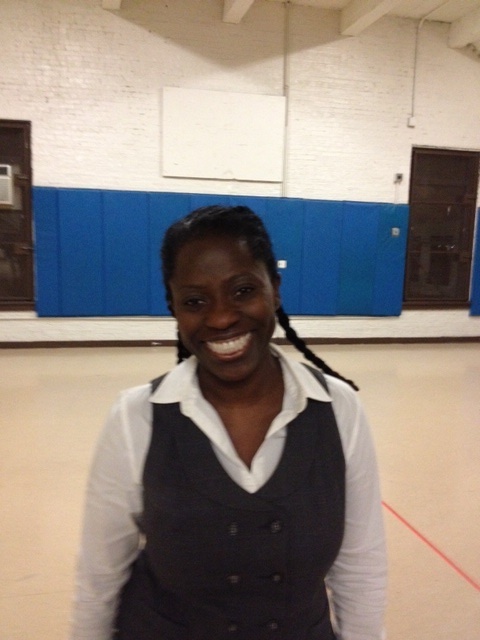 Elizabeth Garraway, current AP at PS 321 and proposed principal for the new school attended an Open House at the St. Thomas Aquinas building so that neighborhood families could get a peak at her and at the new building the week before Thanksgiving. It was a tough crowd, but everyone attending was more interested in information than aggravation. The big take away is that she is ready and enthusiastic to partner with families to make the program the good fit for the neighborhood. Since the school has not been voted on by the PEP and she is not officially principal there is only so much she can propose. Also because she wants this to really be a collaboration between parents and the administration, she needs to have those one on one discussions with families who want to be part of the process. She encouraged families to write her with questions, concerns or ideas wgarraway@schools.nyc.gov. 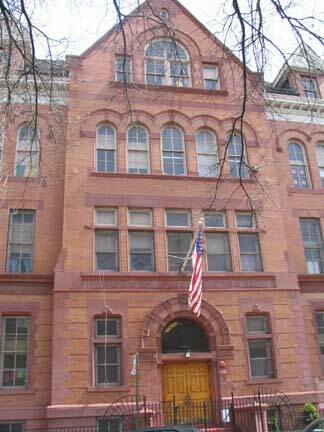 Parents of prospective PS 107 kindergarteners in the south slope have been waiting on pins and needles to find out if their children will have a seat in the school in fall of 2011. There has been a wait-list of over 40 families who have actively been lobbying for relief and assistance in finding appropriate seats for their kindergarteners. Parents feel that they were blindsided and weren't able to prepare for this last minute wait-listing. If they had some warning, they could have gotten on the wait-lists at nearby programs (which are currently closed), applied for lottery or independent programs and lobbied for changes that could helped the population at the school. They are not the only ones, according to different reports, PS 39 and 196 among others are over capacity with in-zone families. 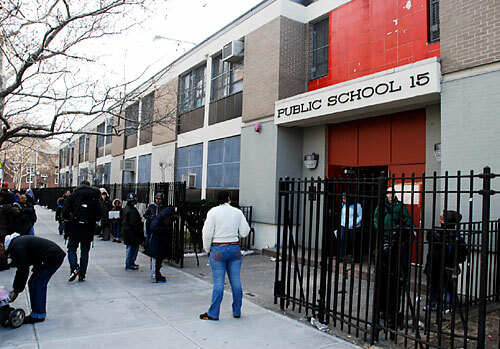 In the past the children from PS 196 have been the only District 15 population that the DOE has had to place in other schools. Last year they were sent to PS 172, PS 124, PS 32 and PS 94. One of the points that the community has been making is that the school had petitioned to remove the one prek class in the building to accommodate the k overflow with a new kindergarten classroom. The request was denied, but it appears now that it may be moved to a separate location. There was movement a couple days ago when 25 children came off the list. 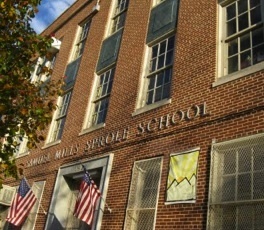 Reports are unclear about whether the school consolidated an upper grade class to open up a new classroom or whether the prek will be moved. So far there has not been much movement from parents enrolling their children in private school. There may be some relief when the gifted and talented placements as well as lottery schools (BNS, the Children's School and the Charter schools) are made. Because of capacity laws (only 110 children can occupy the cafeteria at a time) the kindergarten classes will eat lunch in their classrooms. Lunch shifts run from 10:30 to 1:10. Unfortunately, this is not unusual. The DOE has responded to requests to come to Brooklyn to discuss local kindergarten enrollment with parents on Thursday, April 7th at 6pm in the John Jay auditorium on 7th Ave. between 4th & 5th St.
As you parents of prospective kindergarteners might know the city's timeline for Kindergarten registration begins next week. From Jan. 10 to March 4 is the application period when neighborhood schools are getting a relatively informal head count of zoned families as well as getting an idea of how many out of zoned families might be interested in their program. After that, in March, letters will be sent out telling zoned families when to come in to "pre register"(unzoned families may be contacted but it is more likely that they will remain on a waitlist until later in the spring). Occasionally, individual schools will have their own procedure. Now is a good time to begin touring schools and contacting their parent coordinators or main desk secretary to determine whether they are following the city's procedure or their own simplified version. I have just talked to PS 321 and their procedure is a bit different. They are not taking applications starting on Jan. 10 so don't line up. This is not a first come first served process so don't panic. Within the next week or so, they will set dates, which will be listed on their website, to pick up a registration packet (to be filled out at home) and get an appointment to register (no application head count process). 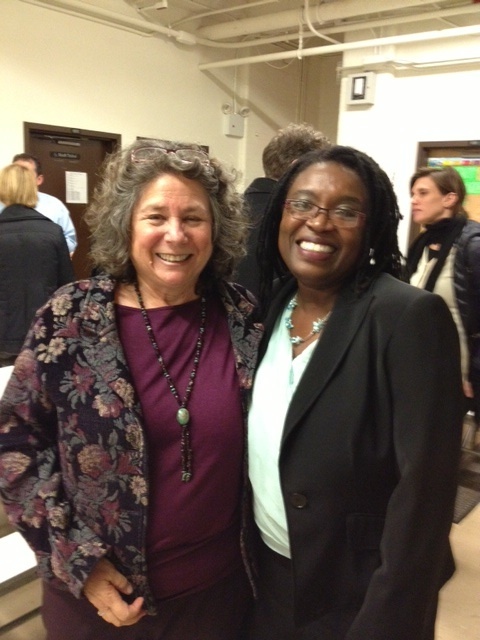 You can call or write Marge Raphaelson, their wonderful parent coordinator, mraphaelson@schools.nyc.gov ext. 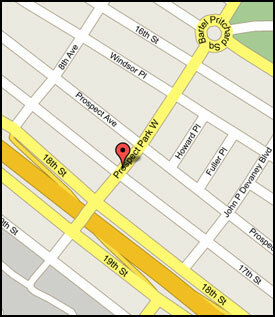 1230 or the main office 718-499-2414 ext. 0 for information next week.﻿ They are trying to eliminate lines and stress for you and your prospective kindergartener. For those of you looking for a strong full day PreK option, this is definitely one to check out. The Prek lottery registration period begins on March 1. Citywide Kindergarten Registration starts on Monday, February 1, 2010 through Friday, March 12, 2010. PS 15 Pre-registration for Kindergarten will be from 9:00 am to 11:45 am. Any child born in 2005 is eligible to apply. Parents need to bring birth certificate or passport, immunization record and proof of address. I just got back from touring the Sunset Park HS building. 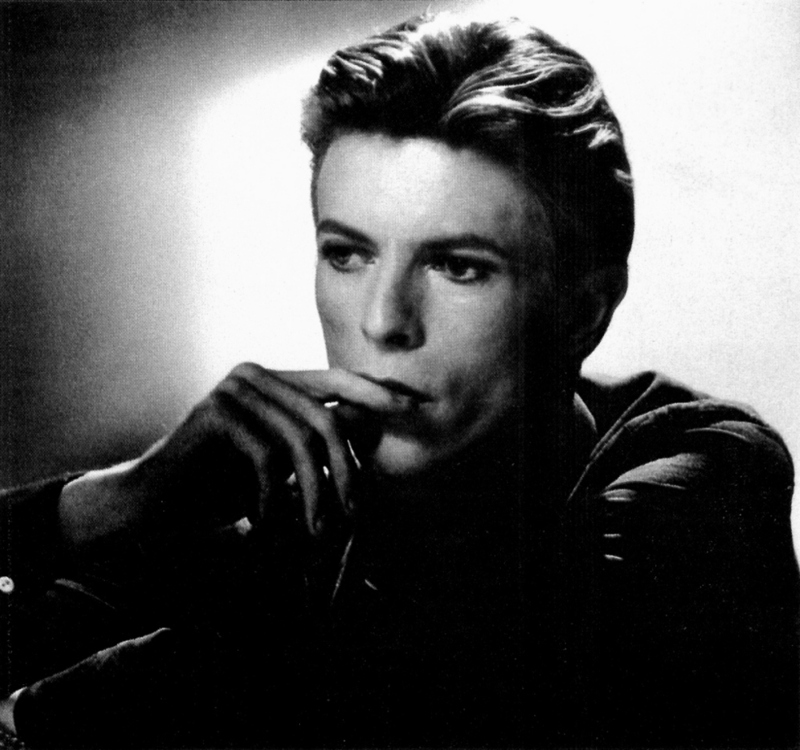 It is everything that you would hope it would be, spacious, light, and beautiful. Three schools are housed there right now, Sunset Park HS which will grow at capacity to 1600 students (currently with a 9th grade), Brooklyn Prospect Charter (currently with a 6th grade) which will be housed there for two years before they find their permanent home and The Lillian Rashkis School, a district 75 program. I would recommend that all parents of 5th and 8th graders make time to tour the appropriate program housed in this building. They are worth a look. The school is located at 35th St. between 3rd and 4th Ave.
Meet the administrators, teachers and students and tour the building.